Remember – you don’t have to have an ereader to download any of these. All retailers now provide a solution to read their books on your computer or mobile device. If you have questions, please review the Q&A post below. Enjoy! In the meantime, I’ll be chewing down my fingernails as I wait for the first reviews to come in. Yikes. 21 Responses to Surprise! Power is early! That is awesome!! I will go get it now! <3 Can’t wait to read it. I really enjoyed your other books. So refreshing and always interesting.. AWESOME!!! What a wonderful surprise. I’ll be getting my copy sometime today! 🙂 whoo hooo! Congrats, Kristie! Gosh, I really need to catch up. I’ve still only read Promise!!! I just finished Power. I LOVED, LOVED, LOVED IT! Just sad that we have to wait till the spring to get the next book. Thanks a million for your creative talents. I have been trying to get it on kindle and it’s still not there???? I used Kristie’s link above and it took me right there. If you go to Amazon and search the Kindle Store for Kristie Cook, you won’t find the link to the book unless you go to the left side and click on the New releases, Last 30 days. Hope that helps! Absolutely loved Power! :) can’t wait until the next one comes out. Kinda hate how the end is but it’s one big cliffhanger!! Keep on writing Kristie love your books, can’t ever put them down no matter how many times I read them. 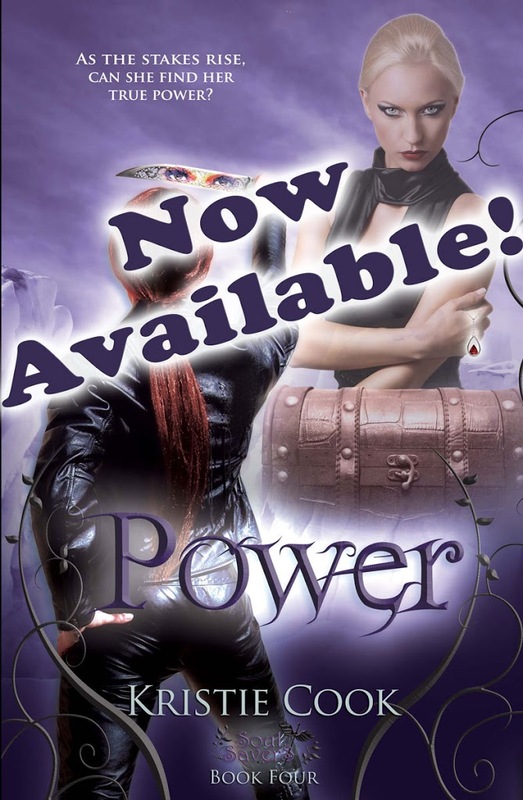 omg power is amazing, i have been waitin for this book to come out hoping some questions would be answered but i am now left with more quetions along with the previous questions. how will i manage till spring i will never know. the twists and turns just keep you gripped, and the cliff hanger you’ve left us all with…………..painful…..but brilliant. Absolutely amazing my only wish is that your fingers could fly on the keyboard even faster not sure I can stand the torment. Keep it up you have some serious talent in that head of yours!!!! Why did you have to increase the price on this book? Yes, it a $1 more but a $1 goes a long way. I don’t understand why ebooks are expensive as paperback. I haven’t bought the book yet. I have bought the other ones, but I am still debating whether I want to spend $6 on a ebook. This book was amazing. I can’t wait for the next one to come out. I will go crazy waiting to find out what happens next!!!!!! Heyy!! 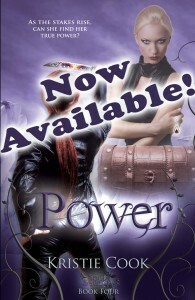 I have only read the first chapter of power and I am addicted!!! I love it!! I am soo excited to know what’s going to happen by the end of the book!!!!! Woohoo, I’ve just ordered the book on Amazon, can’t wait to get home to download it to my Kindle. Just read Power took me a day, I haven’t been this hooked on a series since Harry Potter. It frustrates me that I cant read faster! Keep up the fantastic work! I am starting on my fourth book, I am completely in love with Tristan. All the books are awesome books. I am looking forward to start reading the Power tonight.